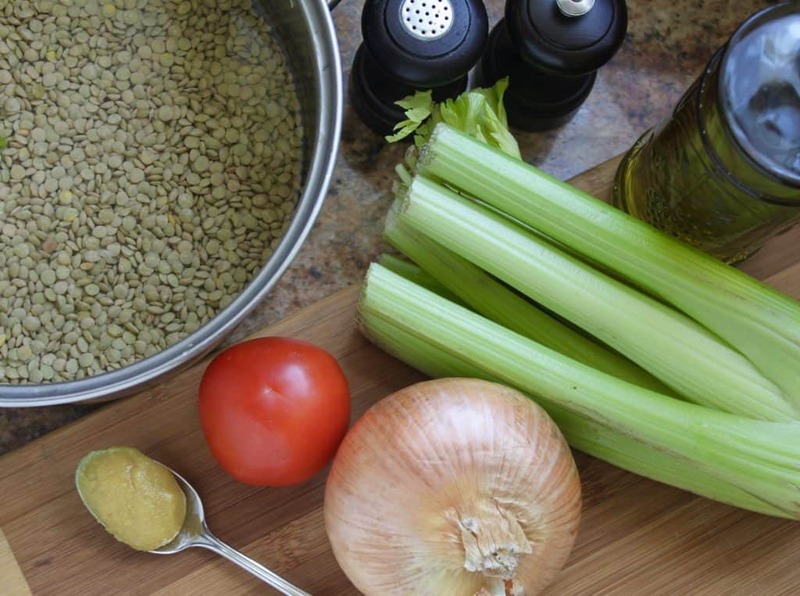 5 Minute Lentil Soup literally takes 5 minutes to put all the ingredients into a pot. Then just let it simmer and you’ll have one of the most delicious, and easiest, soups you’ll ever have! Originally published April 15, 2012. 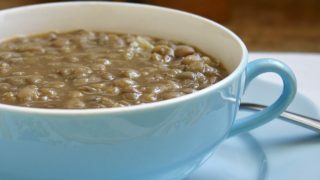 Even if you don’t have time to cook, there is no excuse for not making this 5 Minute Lentil Soup recipe. It takes just 5 minutes to “throw” everything in a pot, and turn on the burner. The heat does all the work, turning your ingredients into the most delicious, healthy, unprocessed soup! 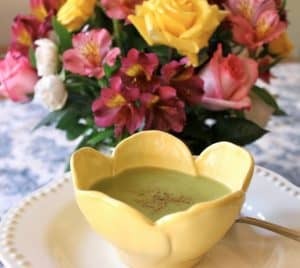 to make this soup vegetarian/vegan and unprocessed. Just how healthy can this little legume be? 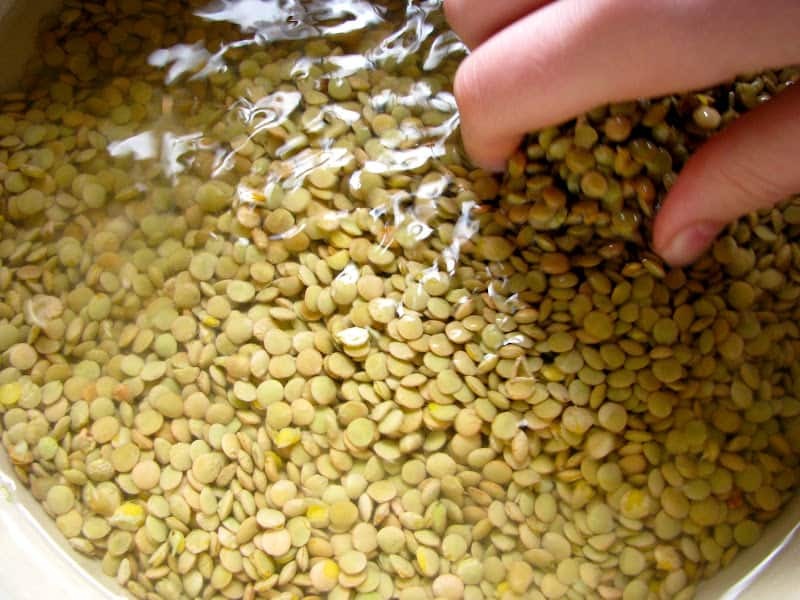 Well, lentils are great for lowering cholesterol, they’re high in fiber, and iron (great for vegetarians). 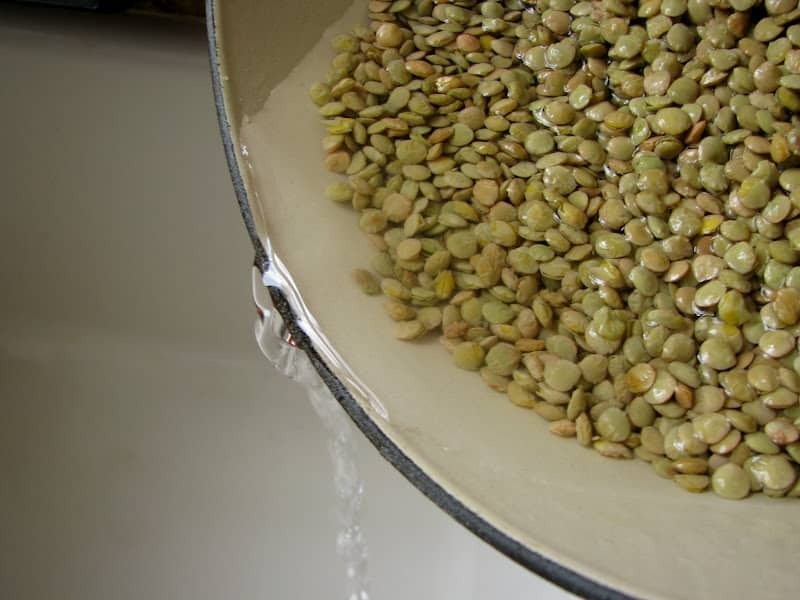 Lentils also fill you up so you eat less! I always have at least one bag in my pantry, but those of you in colder climates would do well to stock up with a few bags. 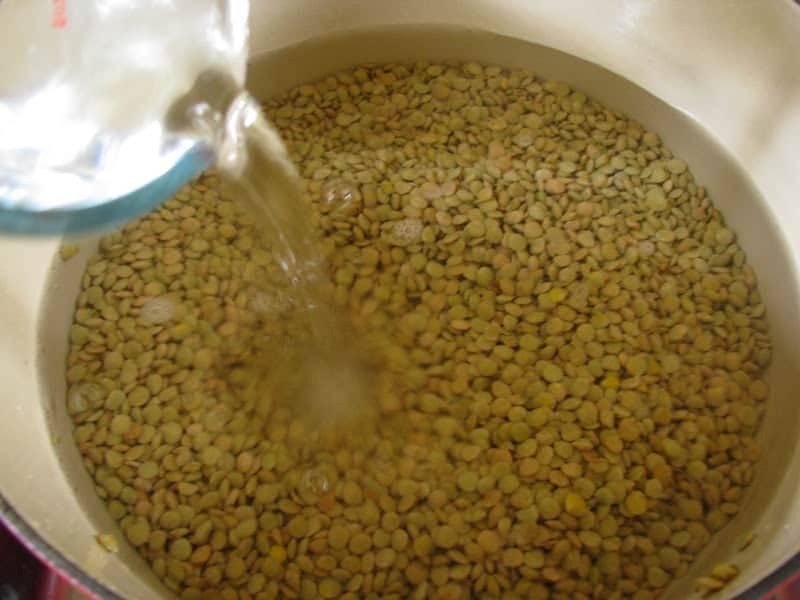 Place the lentils in a large pot, and rinse several times, checking for foreign objects. Begin with 8 cups (64 oz) of water in the pot, adding more later if necessary. Next, add the chopped onion, celery and the olive oil. The tomato puree, and the bouillon go in next, if using. Add about 1 1/2 teaspoons of Kosher salt (at least 2 tsp. if not using bouillon). Bring to a boil, over medium high heat, then simmer over med-low heat, (adding more water if necessary) stirring occasionally, until lentils are done (about 30 mins). 5 Minute Lentil Soup won’t win any beauty contests, but you won’t care when you taste it. Finally, add more salt, pepper and olive oil if desired. Now don’t tell me that wasn’t super quick and easy? Serve immediately, and enjoy! I love a little freshly ground pepper on mine. Just 5 minutes needed to put everything into the pot. The heat does all the work, and you'll have the most delicious and nutritious soup only minutes later. Add 8 cups of water to start, adding more later if necessary. 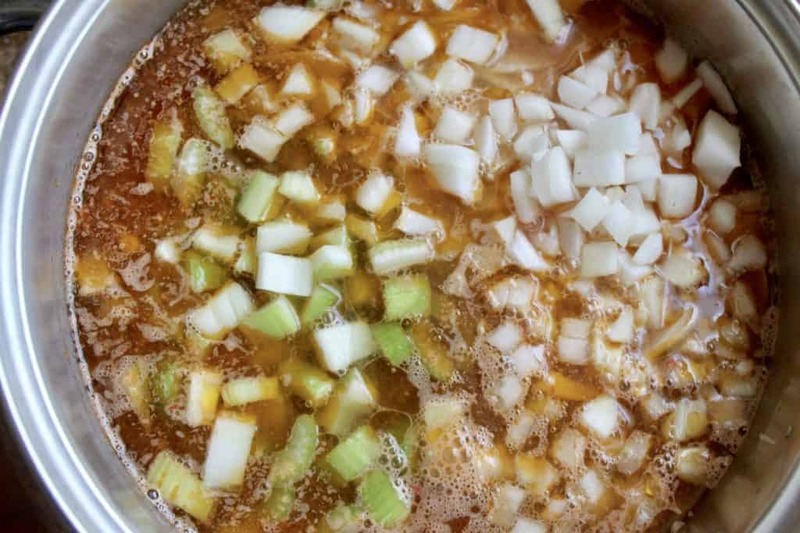 Add the chopped onion, celery, olive oil, tomato puree, and the bouillion, if using. Add about 1 1/2 teaspoons of Kosher salt (at least 2 tsp. if not using bouillon). Add more salt, pepper and olive oil if desired. So I am making this soup for the first time, and I accidentally poured the entire 28 ounce can of tomato puree in the pot without thinking! (Mommy brain got me!). Help!!! Is there anyway I can salvage this?! 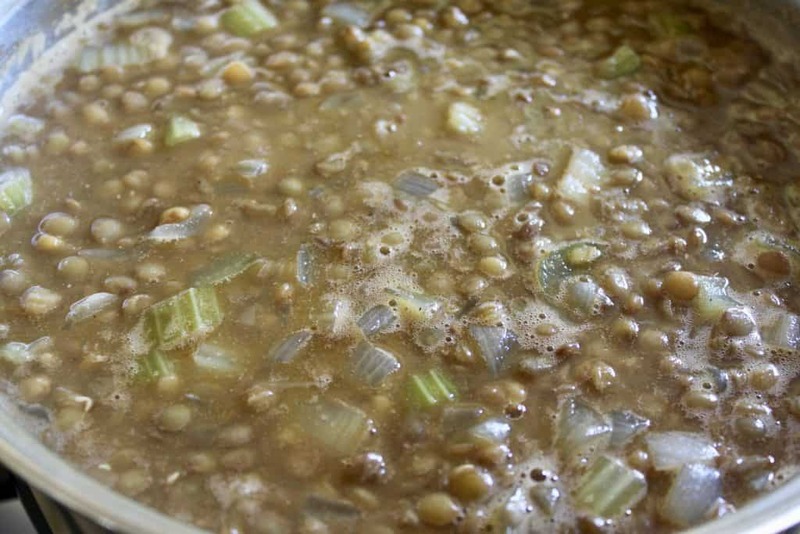 Christina, I love this lentil soup. I’ve made it about 6 times already and recently shared the recipe with a friend. It’s now our favourite winter soup. I’ve been using the green lentils but will try the brown as well. Thank you. Another one for the awesome file from Christina. 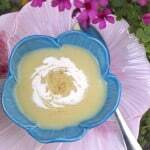 Delicious soup and every recipe I try, I love. 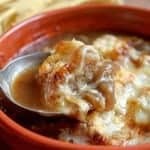 Love quick and easy soups! 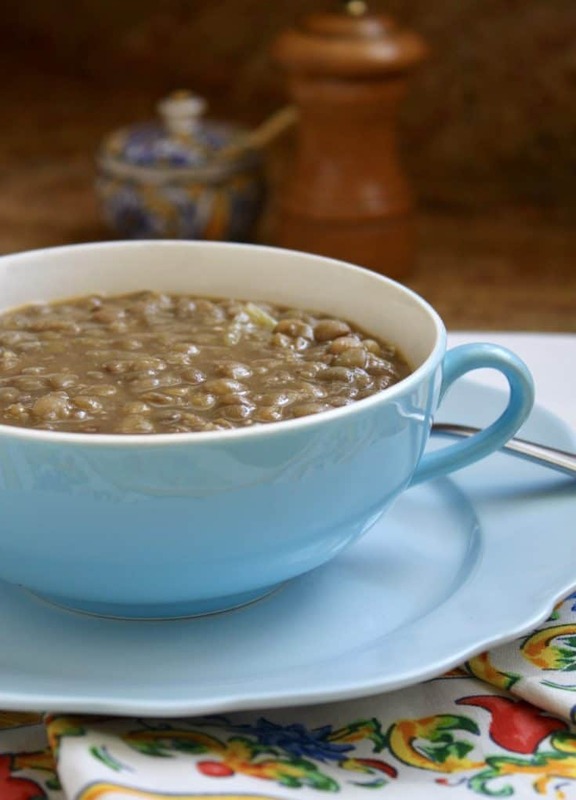 This lentil soup sounds fast and easy! One of the quickest I know! Thanks Christina!!! Made the Lentil Soup as per your recipe and it couldn’t be easier and tasted like my Mom’s! I did add the chopped spinach because my husband and I both spinach. No more canned lentil soup in our house! Soooo easy and only one pot! 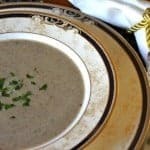 Perfect soup for winter! Love how simple it is to make. It is, perfect for winter! 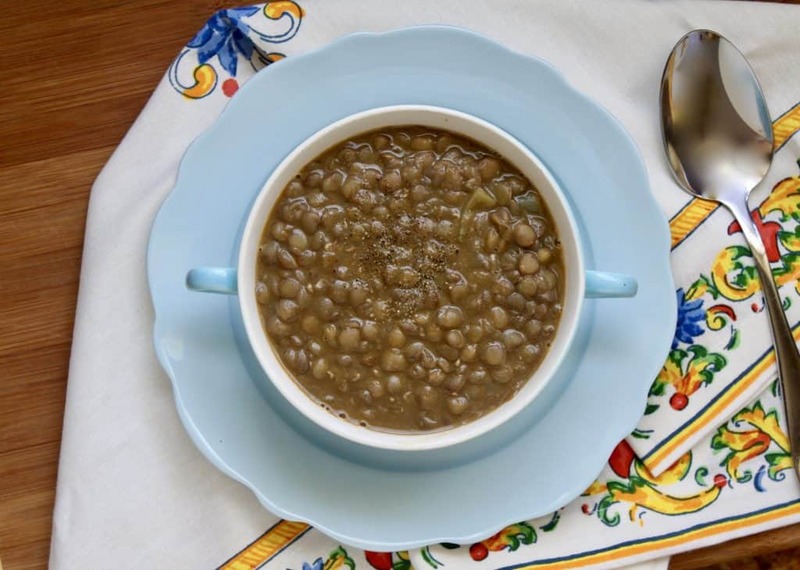 Lentil soup is a long standing family comfort food for me. Try adding a tsp or two of porcini mushroom powder for an even deeper flavor. Hi Christina….It’s been awhile since I commented (due to computer problems) but I do read every one of your emails! I love Lentil soup! I knew that lentils cook fast but I did not know that I could put everything together with the beans and cook it all at one time!!! Thank you! I bought dried lentils after Thanksgiving but just keep looking at them when I opened the pantry door. With your recipe, and I have all the ingredients on hand, I will make this tomorrow! We are having extremely cold weather here in the South so this dish will be perfect! 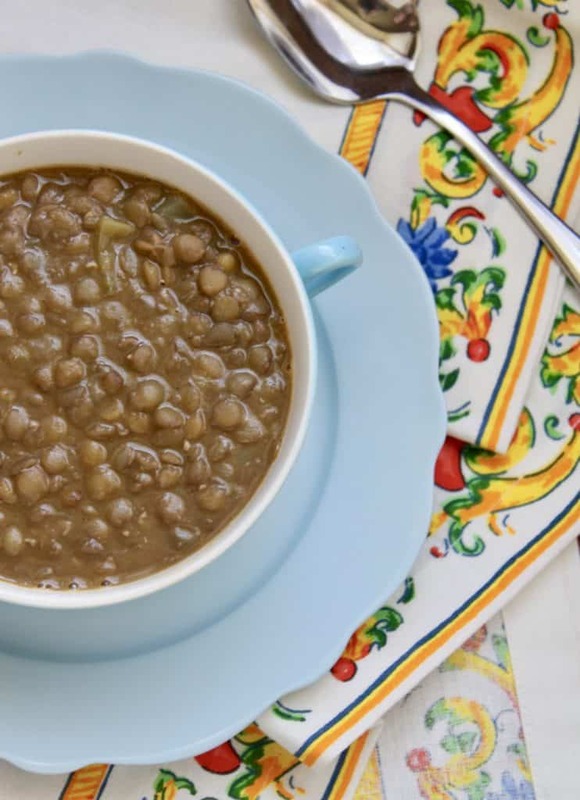 I grew up with Lentil Soup….my Italian Mom made it often in the winter but she always cooked the beans first and I guess that is why I still have the dried lentils in my pantry! She also added a little chopped spinach to her lentil soup and if you like spinach it is delicious with the lentils and even more healthy! Yes had 99 percent of ingredients already just missing celery so used carrot. Finally got rid of that bag of green lentils. That’s why I like Nigel Slater so much I can watch his show then make it. I always add pepper to my soup. This is also good for a budget meal as it goes far and would do a couple of days or more if you freeze it. Awesome, Michelle! It does freeze really well! And we ALL have 5 minutes! Will definitely be trying this over the winter months. Soups ‘r’ Us! I love your site, so nice and easy recipes. You could make it, too! That looks delicious. The idea that it takes five minutes makes it even more appealing! Perfect! People don’t always realize how simple homemade soups are! By the time you’ve opened the “can”, and added the water, you could have a tastier, healthier, homemade soup! And lentils are so nutritious, too! 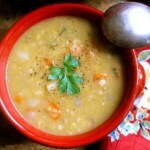 My hubby makes lentil soup all the time and I love it! so warm and comforting. Sometimes we add a little lamb sausage on the side too! This looks simple and delicious! I’ve only done lentil chili, but I’m going to bookmark this for next time my husband has to go out of town. Looks like a perfect “dinner for one” (who doesn’t constantly feel the need for meat). Ha! 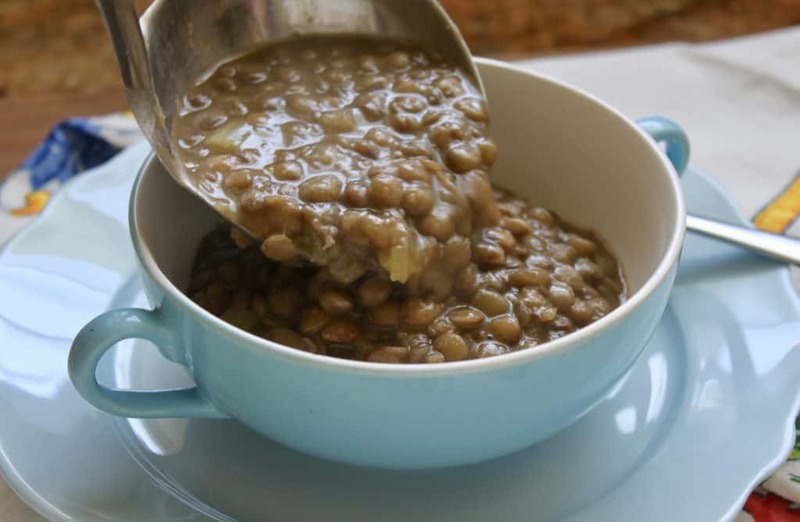 My husband adores lentils and he’s always asking for them, I will make this for him next time, I love how quick it is!